Designed specifically for fast, easy and effective use, our unique range of orthotic products represent the very best value treatment solutions. VASYLI International was founded in 1979 in Sydney, Australia by Podiatrist Phillip J. Vasyli. Commencing as an orthotic laboratory manufacturing plaster cast orthotics, it soon became evident that there was a need for more time-efficient and cost-effective orthotic solutions. In response, Phillip Vasyli invented the ‘VASYLI heat-moldable orthotic’. 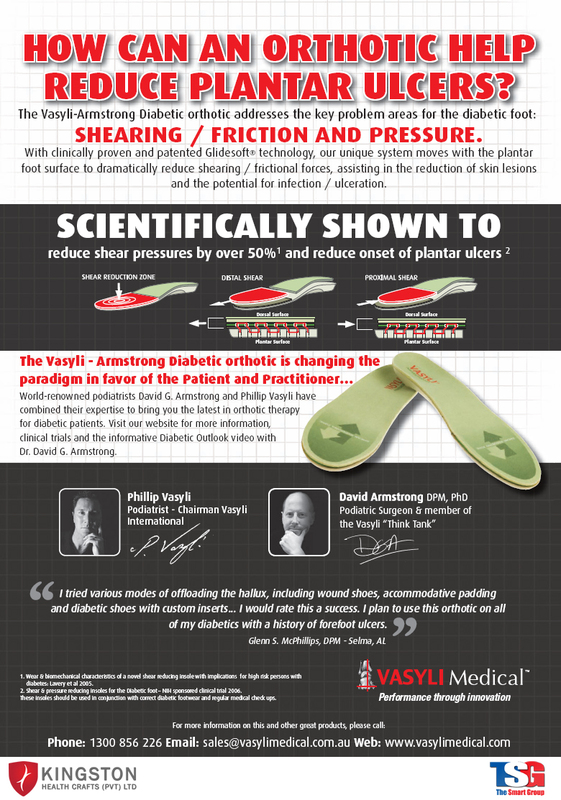 Dispensed in only minutes without the need for any casting, VASYLI orthotics dramatically changed the orthotic landscape giving practitioners more options and flexibility. In addition, the product made orthotic treatment available to a wide scope of other health practitioners. Users include Orthopedists, Podiatrists, Physical Therapists, Chiropractors and other health professionals in both private practice and in hospitals and HMO’s. Many sports medicine practitioners use VASYLI orthotics to treat professional athletes, helping them prevent foot and ankle injuries and increase their performance. Today, Vasyli International has become the global market leader in supplying treatment solutions to health professionals.